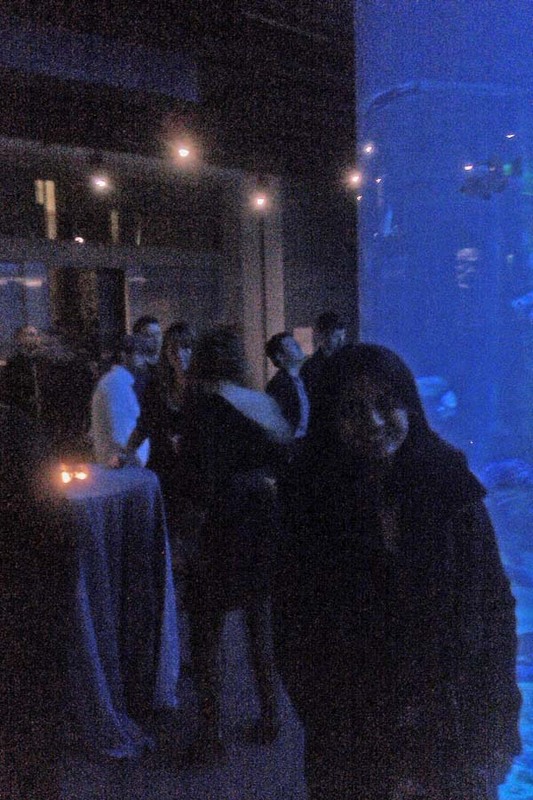 My friend Pavni Diwanji and I went to a Google party (she works there now) at the Academy of Science in San Francisco on Saturday, December 11th, 2010. Google rented out the whole place for the evening. Below are just a couple of pictures to remember the event. The pictures are grainy because they were taken on a lame cell phone camera and I had to brighten them even more since I took them in low light. Below is Pavni by a fish tank. 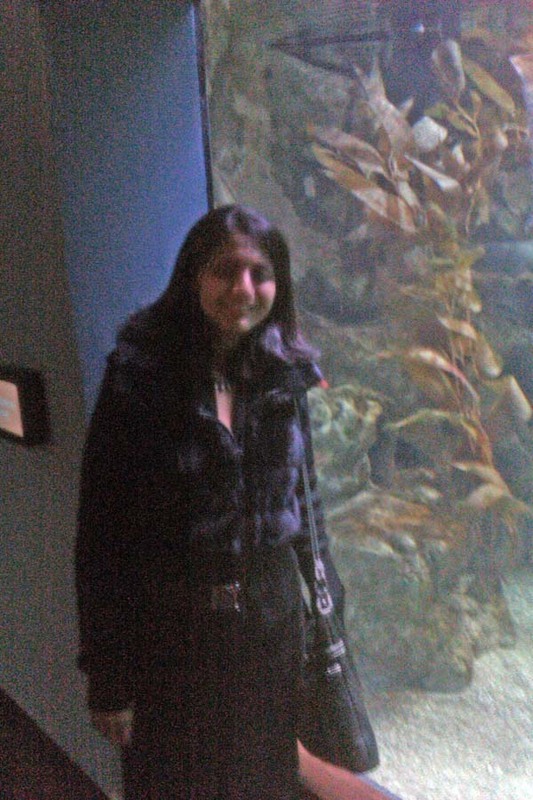 Below is Pavni by a larger aquarium.